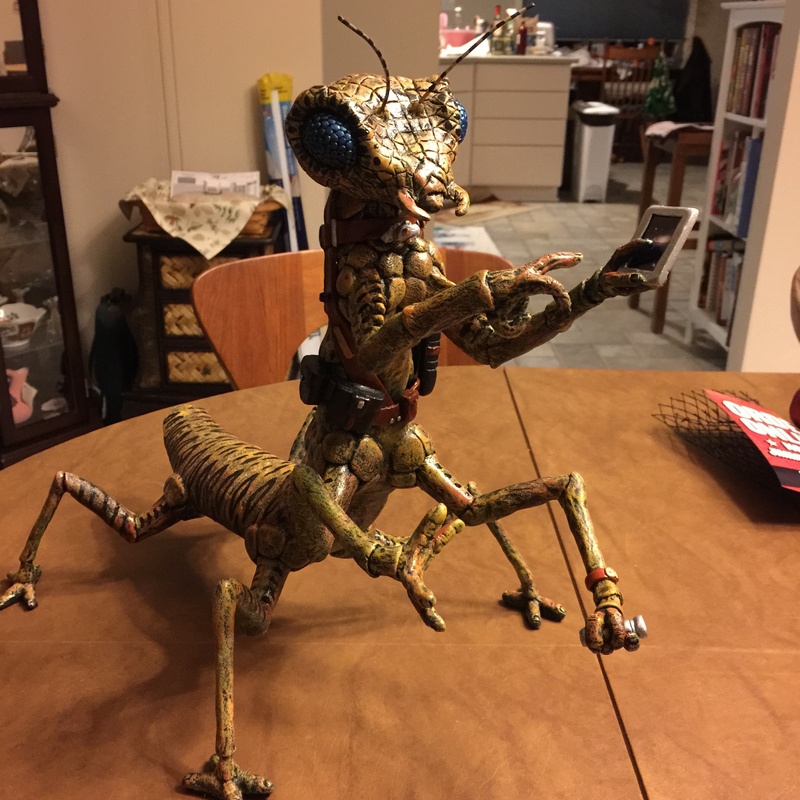 Earlier this year I commissioned an original sculpture by David Lee Pancake of the Valtraxian, Ix. You may have see David’s work at Gen Con (he’s the guy who has those really awesome mounted dragon heads). He recently posted a time-lapse video showing Ix’s creation on YouTube. For those of you who haven’t read any of my Zack Jackson series, yes, Valtraxians are based on Vrusk from Star Frontiers. While they’re physically similar, their society is quite different. I’ll have it display on my table at the various conventions I attend, the first of which is coming up over Memorial Day: ConQuesT. I’ll also have it at Gen Con. Ix’s sculpture stands about 12″ tall. Click to valtraxinate.